Mais d’abord, petite clarification pour qu’il ne subsite aucune ambiguité, notre groupe et ce blog s’appuie et épaule JCall à Paris! 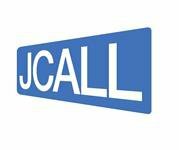 However, let’s make it really clear, our group and this blog totally supports and serves JCall Headquarters in Paris ! Nous ne sommes nullement une association dissidente. Notre comité provisoire a été mandaté par Paris pour créer une association localement, ce que nous ferons avec vous et en parfaite transparence. We are not a dissident association, our provisional committee has been mandated by Paris to create a local association, which we intend to proceed doing with you in full transparency. Dear JCALL, please excuse me from coming Dec. 11 on account of my age, 90 years, but I would like to let you know that I appreciate your efforts in support of an Israel which is ready to accept the 1967 boundaries except for mutually agreed on modifications, and recognizes an independent Palestinian state. I wish you success and satisfaction in your efforts. 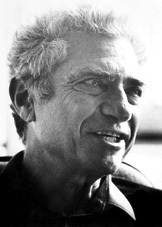 Jack Steinberger, Jewish escapee from Germany in 1934.